A range of cosmetics will accompany the newest addition. Apex Legends has undergone significant changes over the past month. From the integration of the new Battle Pass to the release of Octane—the newest legend to enter Apex—Respawn Entertainment has worked to bring further variety to the game. And it seems as though more is on the way. For some, the new Battle Pass isn’t worth it. It’s a grind to get through levels, approximately 100 hours to be exact, and the rewards aren’t always worth it. 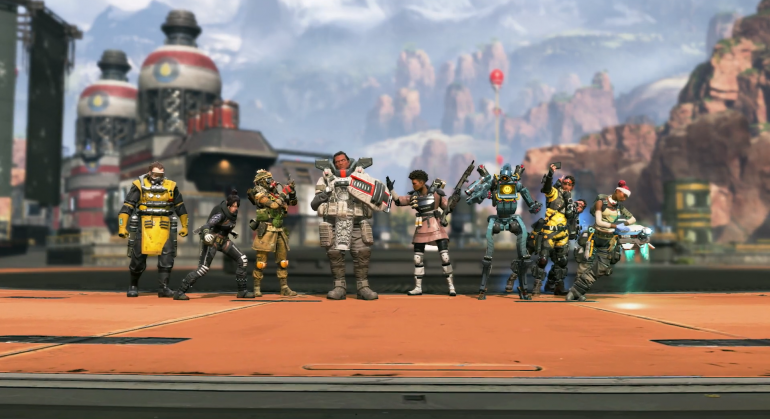 Although most aren’t ecstatic about the release of the long-awaited Battle Pass, adding new legends to Apex is a failsafe way for Respawn to keep the masses satisfied. Following the release of Octane, it appears players will get one more legend before the end of season one. While the store page doesn’t give a timeframe of when the new legend will release, it seems like the developers are aiming to get it out before the end of the season in approximately 12 weeks. Besides two legends this season and a new weapon, the webpage said more items will be added as well. “Two new items will be introduced during the season that will offer something new an innovative to the strategy mix,” the post reads. Regardless of your feelings on the Battle Pass, it seems like Respawn is doing its best to add new content to the game this season. Since a majority of the teased content hasn’t been added to the game yet, there’s a lot to look forward to this spring.